Browse through our directory of hundreds of things to do: restaurants, bars, cafes, entertainment, nightlife, shopping and more. Read the reviews and ratings and use the map to find out what's closest to you. Make the best of your stay in Paris with reservations to the top Paris attractions. Visit one of the fabulous cabarets, see the country side from above in a hot air balloon, or visit museums to your heart's content. 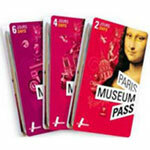 The Paris Museum Pass gives you unlimited access to over 60 Paris museums and monuments ... without waiting in line. Choose from 2, 4, or 6 day passes. 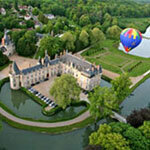 Take a ride in a hot air balloon. Treat yourself to an unforgettable experience of floating over the Parisian countryside, the castles of the Loire Valley or the Burgundy wine region. 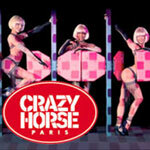 Visit the Moulin Rouge, the Crazy Horse or the Lido. Seeing a Parisian cabaret is a time-honored tradition and an unforgettable experience.